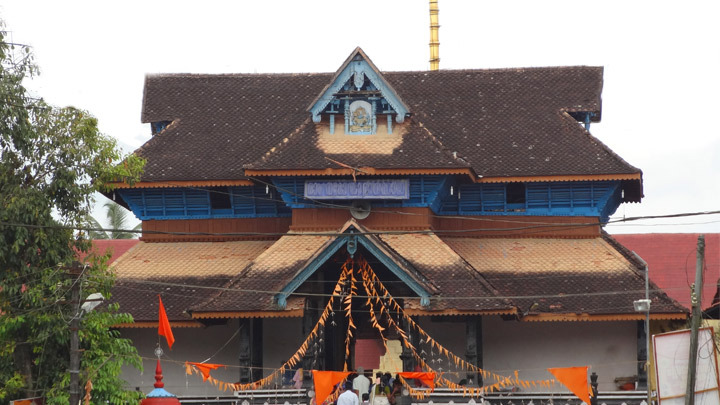 Dedicated to Lord Sree Krishna, this temple siutated on the banks of the holy River Pamba, attracts large crowds of devotees. It is said that the idol was brought here in a raft made with aru (six) pieces of mula (bamboo) which gave the town its name, Aranmula. Various cultural organisations at Aranmula imparts training in traditional arts like Kathakali, classical dances, classical music and Kalaripayattu. Tourists stay here for long periods to get first hand knowledge of the culture of Kerala. The temple has fine murals of the 18th century.